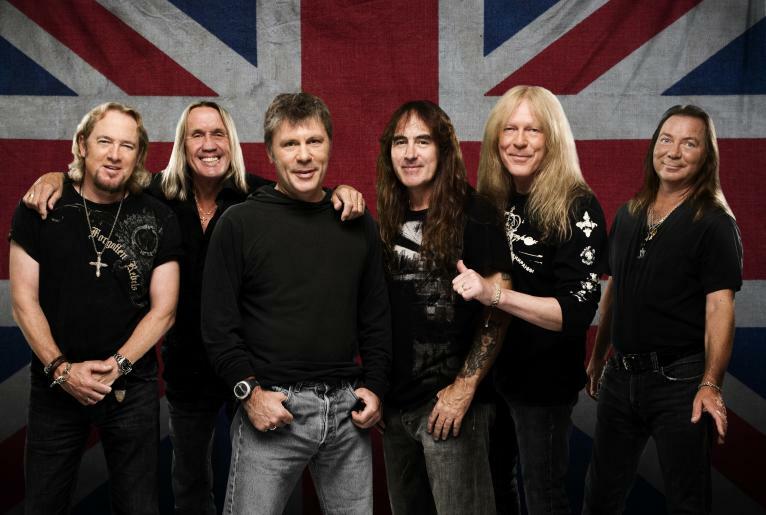 Iron Maiden have announced dates for the Legacy Of The Beast summer 2018 European tour. Inspired by their mobile game and comic book of the same name, the trek will begin in Tallinn, Estonia on May 26 and see the group mix headline shows with festival appearances – including Sweden Rock, Italy’s Firenze Rocks, Austria’s Novarock, Belgium’s Graspop Metal Meeting, France’s Hellfest and Hungary’s Volt Festival, among others. Special guests Killswitch Engage will join Iron Maiden on headline dates from May 26 to July 1 inclusive, and in the UK from July 31 to August 10 inclusive; guests on other shows are currently being finalized and will be announced soon. An Iron Maiden fan club presale starts November 20 with general public seats going on sale November 24. According to manager Rod Smallwood, the stage set design for the trek will feature a number of different but interlocking "worlds" with a set list covering a large selection of eighties material with a handful of surprises from later albums to add diversity. "As our fans know, we've been following a particular touring cycle ever since Bruce Dickinson and Adrian Smith rejoined Maiden at the start of the millennium, alternating new album tours with 'History/Hits' tours,” explains Smallwood. “We enjoy working this way for many reasons, not least because it gives the band a chance to play both new material and the older favourites which we know fans like to hear. It keeps things fresh, not just for the fans but for the band too. "For this History/Hits tour we decided to base the theme around the 'Legacy Of The Beast' name, which suits our purposes perfectly by giving us scope to get creative and have some fun, especially with Eddie! I don't want to give too much away at the moment but we're working on a number of different stage sets, all in keeping with the Maiden tradition and we hope to give our fans a fantastic experience when they come to see this very special show." The Legacy Of The Beast world tour is expected to continue in 2019. On November 17, Iron Maiden will release “The Book Of Souls: Live Chapter”, a concert film and audio project that recreates the band’s setlist from songs filmed on their 2017 Book Of Souls world tour, which wrapped up with two dates at New York’s Barclays Center in July.